A new law in New York, partially effective this week, will reform alimony law and reverse a longstanding rule of marital property that helped earn New York the label “a leader with few followers.” The new law was precipitated by New York’s adoption of a true no-fault divorce law in 2010 and alimony reform that was demanded as a compromise by opponents. The 2010 changes were controversial, perhaps even more so after they went into effect. Now, five years later, parties on different sides of the debate have agreed on a different compromise going forward. And, almost as a side note, the legislature abandoned one of New York’s most unique rules of divorce—that professional degrees acquired during marriage are a divisible asset. For decades, New York was the only state without a true no-fault law, one that allowed a spouse to dissolve a marriage without proof of specific marital fault and without consent of her spouse. New York had always taken a strict approach to divorce, allowing it only upon proof of adultery until 1966, even though most other states had expanded their list of grounds decades earlier. New York did finally expand its grounds then, but resisted the no-fault tide that swept up virtually every other state after starting in California in 1970. The New York legislature resisted the shift, despite pleas by the state’s Chief Judge, Judith S. Kaye, who called for comprehensive review of the fault-based system in 2004. That same year, the New York State Bar Association recommended adoption of a true no-fault law, but bills that were introduced died quiet deaths. Finally, in 2010, the legislature passed a no-fault bill to allow divorce based on irretrievable breakdown of the marriage, regardless of whether either party had committed a particular act of fault. Rather, divorce could be obtained based on nothing more than a sworn statement by either spouse that the marriage had been irretrievably broken for a period of at least six months. The no-fault bill, signed into law by then-Governor David Paterson, also provided that a judgment of divorce cannot be issued “unless and until the economic issues of equitable distribution of marital property, the payment or waiver of spousal support, the payment of child support, the payment of counsel and experts’ fees and expenses as well as the custody and visitation with the infant children of the marriage have been resolved by the parties, or determined by the court and incorporated into the judgment of divorce.” This was an important provision, particularly for opponents of no-fault who feared that economically dependent spouses would lose the leverage they used to have—refusal to consent to divorce—to obtain a fair economic settlement. A companion bill changed the rules for temporary alimony, a concession to these same opponents. The no-fault law has been generally a success. Spouses seeking a divorce rarely rely on the fault grounds, though they are still available under New York law. But the maintenance guidelines—New York’s term for alimony—have been controversial and criticized. Some lawyers countered that the new law was a real boon for low-income women. 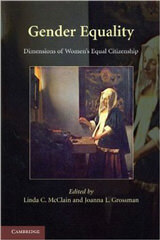 According to Emily Rubin, the co-supervising attorney of the family law and domestic violence practice at the Legal Aid Society of New York City, low-income women often fled marriages without seeking interim maintenance payments, especially if they were in abusive relationships or not represented by a lawyer. The formula assures them desperately needed support. 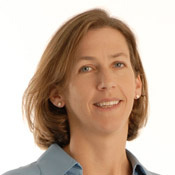 As she told the New York law journal, “[I]t has dramatically helped our clients. They are getting much fairer awards, much more quickly. Is it harder for the payor spouse to pay these awards? Absolutely. But the single father, generally, still has more income, just not as much more.” By reducing the income cap, the new amendments placate high-income earners (and their counsel) while providing a much-needed safety net for at least some low-income women. Another complaint was the apparent confusion resulting from the application of the 2010 law along side pre-existing New York child support guidelines, which cap income at $136,000. The temporary maintenance calculator currently in use in Supreme Court was developed in 2010 when the temporary maintenance guidelines were adopted. It requires the user to calculate income under the Child Support Standards Act (“CSSA”) separately on a worksheet, and then input the result into the calculator. The Advisory Committee recommended that the new calculator perform the calculation of CSSA income for the user. After calculating CSSA income, the calculator would be used to determine temporary maintenance or permanent maintenance, and then, if applicable, would do the same for child support. The law sets out two formulas for the calculation of support: one where child support will also be paid by the payor and one where such additional support will not be paid (either because there are no eligible children or because the payor is the custodial parent.) Where child support is paid by the maintenance payor, the formula is: (i) subtract 25% of the maintenance payee’s income from 20% of the maintenance payor’s income; (ii) multiply the sum of the maintenance payor’s income and the maintenance payee’s income by 40% and subtract the maintenance payee’s income from the result; (iii) the lower of the two amounts will be the guideline amount of maintenance. Where child support is not paid by the maintenance payor the formula is: (i) subtract 20% of the maintenance payee’s income from 30% of the maintenance payor’s income; (ii) multiply the sum of the maintenance payor’s income and the maintenance payee’s income by 40% and subtract the maintenance payee’s income from the result; (iii) the lower of the two amounts will be the guideline amount of maintenance. The new amendments to §236 of the Domestic Relations Law, the equitable distribution and maintenance provision, preserve the temporary maintenance guidelines and extend them to post-divorce maintenance. The amendments addressing temporary maintenance went into effect on October 26, 2015; those addressing post-divorce maintenance go into effect on January 25, 2016. A major feature of the new law, in response to some of the criticism cited above, is the imposition of a cap. The formula applies to income up to $175,000, which has been reduced from the 2010 income cap of $524,000. The court may adjust the guideline amount of maintenance up to the cap where it is “unjust or inappropriate.” Where income exceeds the cap, additional income may be awarded based on one or more factors, to be set out on the record. The new law also includes a few other changes to maintenance law, but none as important as the cap and the extension of the guidelines to post-divorce maintenance awards. 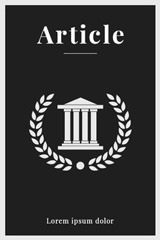 Among the smaller changes are a more expansive definition of “income” for assessing post-divorce maintenance, to include income from income-producing property that is subject to equitable distribution; the addition of factors in determining post-divorce maintenance such as imputed income and the termination of child support; a formula for determining the appropriate duration of a post-divorce maintenance award based on the length of the marriage (e.g., for marriages of more than 20 years, the maintenance should continue for 7-10 years after divorce); and retirement must be given more attention—both in setting maintenance in the first instance and potentially modifying it down the road if full or partial retirement substantially reduces the payor’s income. An important, yet little mentioned, aspect of the new law reverses a longstanding rule in New York law that permitted divorce courts to divide the value of professional degrees by one spouse during the marriage. That rule came about in a 1985 ruling in O’Brien v. O’Brien, in which the state’s highest court held that the husband’s medical degree, the couple’s only real asset, could be divided if the wife could prove she contributed to the process of obtaining it. One early question to arise under equitable distribution laws was whether so-called “new property” could be divided. This term is used to describe assets like pensions, professional practices, disability and personal injury judgments, and professional licenses. Can these assets be divided even though they are often not transferable, saleable, or tangible? The answer to this question is significant because, for many divorcing couples, these assets are all they have of any value. The median length of a marriage that ends in divorce is 8-9 years, a time in the lifecycle when couples, especially those with children, are likely to have relatively little by way of equity in houses or savings in the bank. But if they have been investing in earning capacity and careers, they may well have accrued “new property” assets of substantial value. By the late 1970s, courts began to agree that pensions—earned, like a salary, through work—were divisible. Valuation can pose a challenge, especially for unvested pensions, but courts and legislatures have come up with creative ways to allocate pensions fairly at divorce. Likewise, courts began to divide the value of professional practices, such as a dental practice, disagreeing about issues such as the divisibility of goodwill. In both situations, courts were swayed by the arguments that assets earned through a spouse’s work are usually divisible. 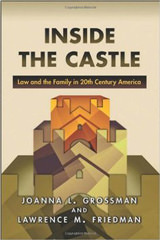 But in the latter case, courts also observed that the non-practicing spouse often made significant contributions to the development of a successful practice, such as unpaid work in the office or taking responsibility for a disproportionate share of childcare and housework in order to free up more time for the practicing spouse to work. The question whether a professional degree is divisible raised similar, but not identical, questions. Unlike a pension or a practice, a professional degree cannot be liquidated or sold on the open market. The degree belongs to the person who earned it and is lucrative only if the degree-earner successfully pursues work in that field. On the other hand, it enables a long-term stream of future income and is the product of one spouse’s work and, often, the other spouse’s help. In O’Brien v. O’Brien, the husband and wife were teachers when they married. Michael then finished college and medical school; Loretta worked to enable him to pursue his education. When they divorced, his medical degree was their only asset. The New York Court of Appeals ruled that Michael’s medical degree belonged, in a sense, to both of them. The court relied on its characterization of marriage as an “economic partnership,” which, in its view, could include an inalienable asset such as a professional license. Courts in other states were asked this same question, but reached different conclusions. New York is the only state that recognizes professional licenses as marital property subject to distribution. In other states, they are treated as inalienable “human capital” and are not subject to distribution. At best, a professional degree can trigger an award of reimbursement alimony for a spouse who made direct contributions to the acquisition of the degree, such as, for example, by paying tuition. After thirty years as an outlier on this issue, New York will now follow the consensus approach. In one sentence, the new law reverses O’Brien: “The Court shall not consider as marital property subject to distribution the value of a spouse’s enhanced earning capacity arising form a license, degree, celebrity goodwill, or career enhancement.” It may indirectly come into play, as the law allows for courts to “consider the direct or indirect contributions to the development during the marriage of the enhanced earning capacity of the other spouse.” The new rule will apply only to actions filed after the law takes effect, so degrees already divided, or pending division in current proceedings, will not be affected. With this new law, New York abandons one outlier position, but adopts another. New York has abandoned O’Brien, finally rejoining the herd. At the same time, as set out in a 2014 law review article by Judith McMullen, “Recent developments . . . seem to portend that even fewer alimony awards will be made in the future, and that those awarded will be for lesser amounts and shorter terms.” This does not seem to be the trend in New York. While the maintenance guidelines may turn out to be fair and effective—one hopes they will—they represent a relatively unusual approach to determining spousal support. New York thus promises to continue on a unique path, requiring students and practitioners to learn New York family law as a standalone subject. 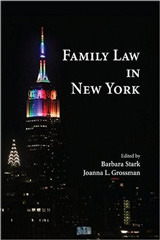 Toward this end, we have just published Family Law in New York (Carolina Academic Press 2015), which covers the vast and sometimes rough terrain of this subject in great detail. 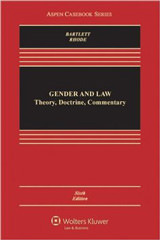 Barbara Stark is a Professor of Law and John DeWitt Gregory Research Scholar at Hofstra University. She writes on family law and international law topics.